Arts & Entertainment Industry - Venture Mfg. Co. The arts and entertainment industry utilizes a variety of equipment that require the use of motion systems. Applications such as film special effects, stage shows, and amusement parks, require the use of linear actuators for proper operation. We at Venture Mfg. Co. understand the specialized requirements of the arts and entertainment industry. We support these applications by providing standard and custom linear actuators for the art & entertainment industry. Venture Mfg. Co. provides inimitable linear actuators that can provide continuous performance for applications in the arts and entertainment industry. 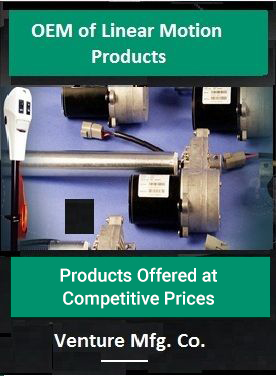 Contact us to place an order on our standard actuators, or to discuss your custom requirements. 800 Series Acme Screw Actuators: This actuator type is designed for automation of high load processes. We offer the 800 series Acme screw actuators in a variety of mounting options. They can be used in various outdoor applications, where they will be exposed to harsh or changing weather conditions. VI Series Actuator: The VI Series actuators can provide a number of solutions for entertainment applications. They are designed for outdoor use, and are offered with features such as adjustable limit switches and a potentiometer for position feedback. 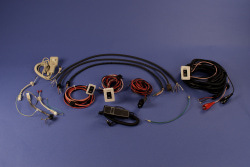 The potentiometer can be used to create close loop control, which is essential for motion control. The following are a few application examples of linear actuators for the entertainment industry. Film production houses utilize camera sliders, which consist of linear actuators. These are used to create smooth and flowing camera movements. In amusement parks, linear actuators are used to create the movement of horror house monsters. The monster dummy is placed on a slider mechanism, and the linear actuator creates high speed movements to move the dummy. 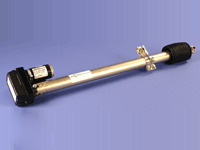 For theatre productions, linear actuators are used to enable the movements of certain parts of the stage and backdrop. Linear actuators are also used in theme park rides. They are specifically used for the rides with vertical or horizontal movements. The linear motor converts electricity into mechanical motion to accelerate the ride’s speed. Venture Mfg. Co. provides inimitable linear actuators that can provide continuous performance for applications in the arts and entertainment industry.